BEIJING (Reuters): China on Tuesday called for UN Human Rights Chief Michelle Bachelet to respect its sovereignty, after she urged it to allow monitors into the restive far western region of Xinjiang and expressed concern about the situation there. In Bejing, Foreign Ministry spokesman Geng Shuang signalled that China did not want the United Nations to get involved. “China urges the UN human rights high commissioner and office to scrupulously abide by the mission and principles of the UN charter, respect China’s sovereignty, fairly and objectively carry out its duties, and not listen to one-sided information,” he told a daily news briefing. 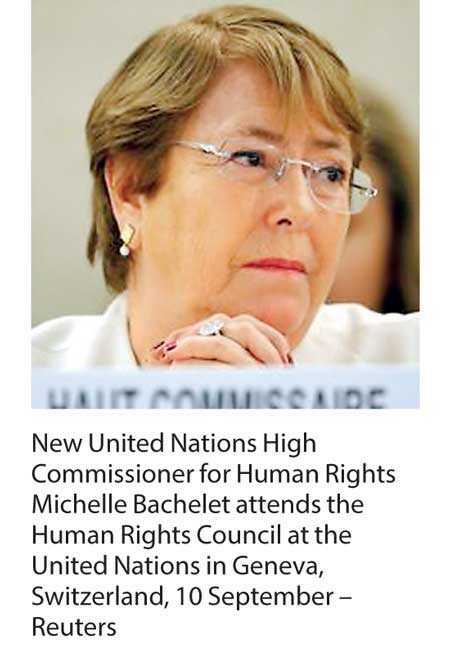 In her maiden speech to the UN Human Rights Council, Bachelet said the panel had brought to light “deeply disturbing allegations of large-scale arbitrary detentions of Uighurs and other Muslim communities, in so-called re-education camps across Xinjiang”.